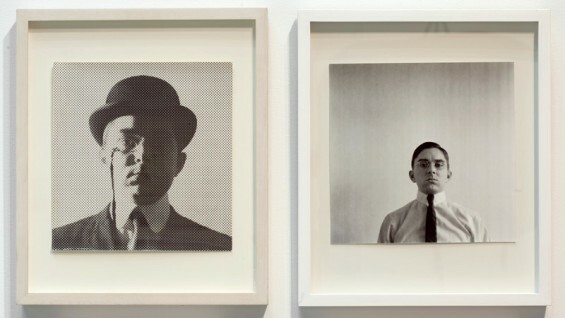 George Maciunas, Self-Portrait, 1961/2012. Installation view. Source: Jonas Mekas Visual Arts Center. A revolutionary Lithuanian studies at Cooper Union, decides to thumb his nose at elitist art, leads a group genre-busting artists, asks why not use vacant industrial space in a down-and-out part of the city, petitions the City to create artist cooperative-lofts, and…voilà, Soho is born. Remarkably enough, it’s a story that’s never been told, so kudos to Cooper Union School of Art for the collaboration with Lithuania’s Jonas Mekas Visual Arts Center to mount the exhibition at 41 Cooper Square, Anything Can Substitute Art: Maciunas in Soho. Who better to make the connection between art history, the avant-garde, and real estate? The show documents the early work of George Maciunas, who emigrated from Lithuania in 1948, studied at Cooper Union in the 1950s, became fascinated with the history of migrations and revolutions in the then-Soviet Union, wrote the famous Fluxus manifesto calling for a revolution against “elitist” art in New York, and gathered a group of downtown provocateurs around him. He drew a map of the most influential art events of 1965-1967. 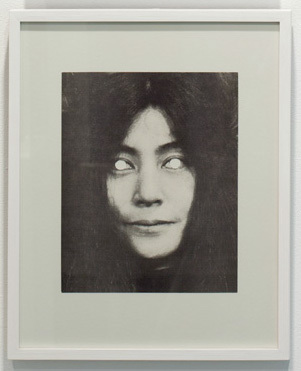 The roster reads like a who’s who today, but at the time, they were newbies living on the edge — Kaprow, Schneeman, Moorman, Paik, Satie, Rauchenberg, Trish Brown, Gordon and Setterfield, and Yoko. Thinking about Russian revolutions since the 1230s encouraged Maciunas to ask why a revolution couldn’t be mounted against the art “establishment” by declaring that “anything can be art”. He and his friends produced an avalanche of work that kept things simple and cheap, playing with the concepts of ephemeral events, experiences, packaging, context, and games. You know them today as happenings, performance art, conceptual art, multiples, boxed sets, word art, multimedia, and (possibly) Occupy Wall Street. 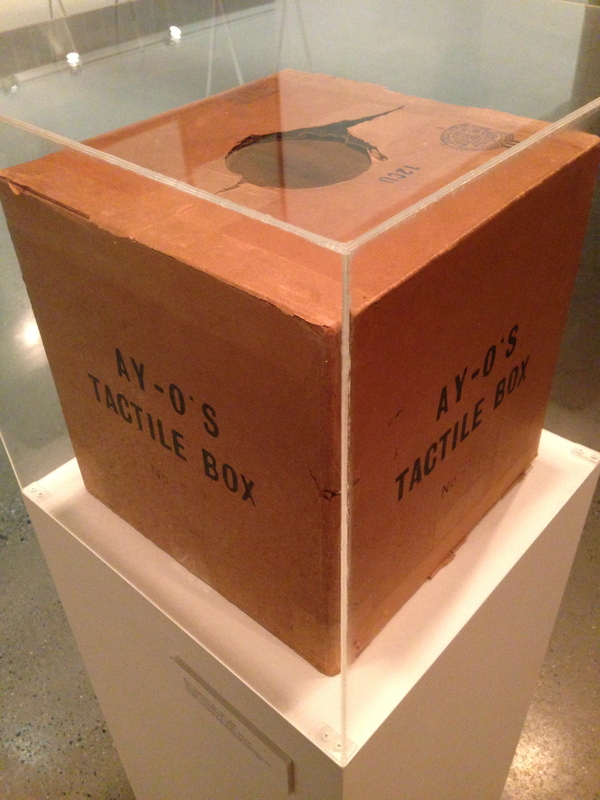 Installation view of Ay-O’s Tactile Box (No. 25) (1964). You put your hand into the hole to feel what’s inside. Source: Jonas Mekas Visual Arts Center. Mekas, another Lithuanian immigrant and founder of Anthology Film Archives, kept a lot of his friends’ early work, so the gallery is filled with never-before-seen Fluxus art, posters, letters, and maps that normally reside in Vilnius. Maciunus thought Fluxus principles could also be applied to urban living, business, and real estate, so the show includes correspondence with government officials about permission to establish cooperative artist spaces. A highlight is a hand-drawn map showing where Fluxhouse co-ops would transform abandoned industrial lofts in the 25-square blocks of Soho. His first transformation was 80 Wooster, which gave Fluxus artists a chance to live and work together, unencumbered by walls and tradition — a socially conscious, revolutionary move that eventually influenced the course of art, lifestyles, and real estate here and around the world. This entry was posted in Art, History, Museums and tagged art, culture, history, museums by mssusanb. Bookmark the permalink.